The traditional pedicure is complete with a foot soak in our massage spa pedicure chair, nail trim, shaping, cuticle grooming, callus treatment, exfoliation, sugar scrub, and smoothing gel rub, plus a moisturizing mask wrap is given in warm towels. Followed by a hot stone massage and polish. Restore youth and vitality to your stressed and over worked skin. We exfoliate your arms and hands with OPI sugar scrub, then wrap the mud-masked skin in hot towels to help firm. 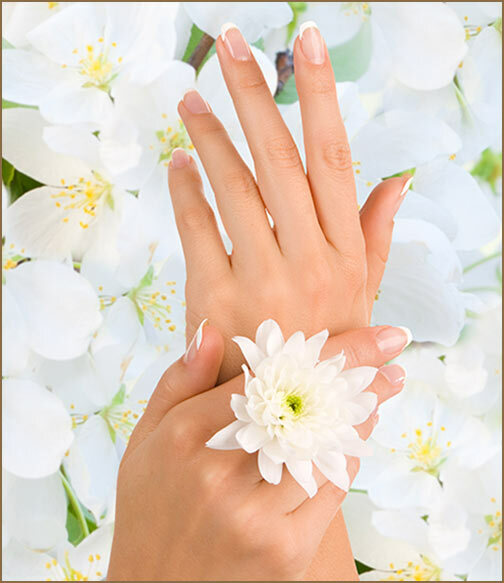 A paraffin treatment moisturizes your hands. A soothing massage to improve circulation and restore balance to your tired muscles is the finale.